Object-e is an architectural studio which designed in collusion with us some bold and improvident jewels. 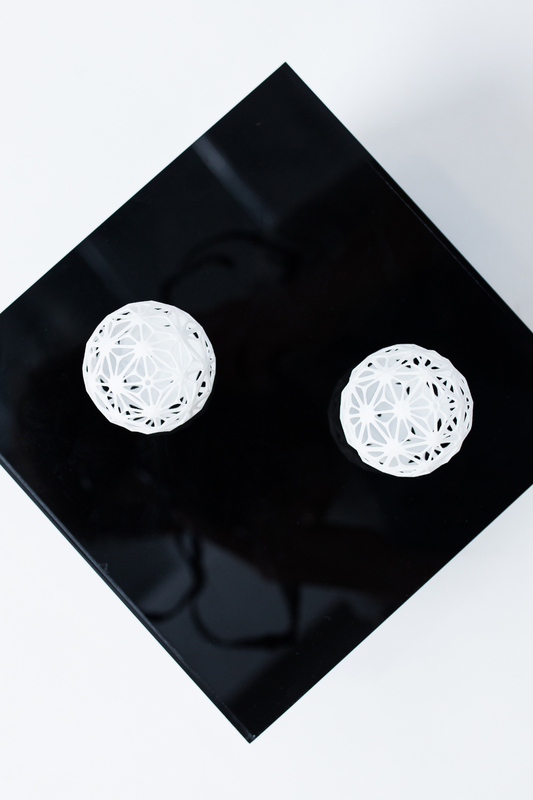 Orbis is a set of 3D-printed jewelry designed to explore the sphere, as a platonic solid, and its tessellations. 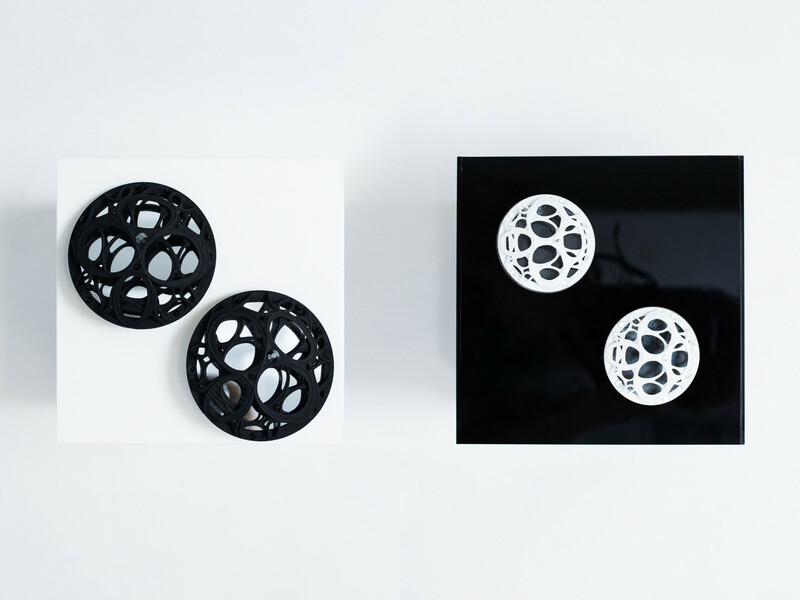 Flos v.1 and v.2 are two pairs of earrings with 3D surfaces shaped by two layers of a fluid, organic pattern. The mirror behind this surface adds some extra complexity to the design. Chrysokona Mavrou is an architect and jewelry designer as well. 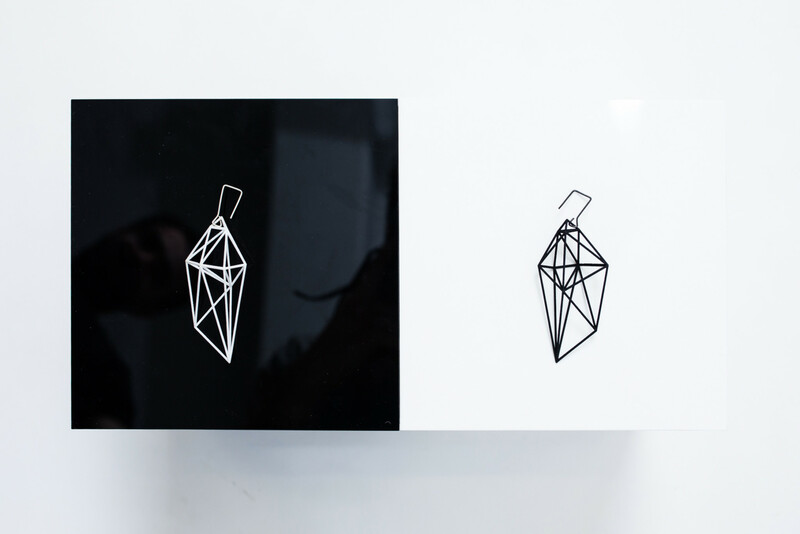 She designs 3D-printed jewels inspired by pylon wireframes. In the earrings she designed for our brand she combined her signature prismatic patterns with our extravagant stylistic identity. 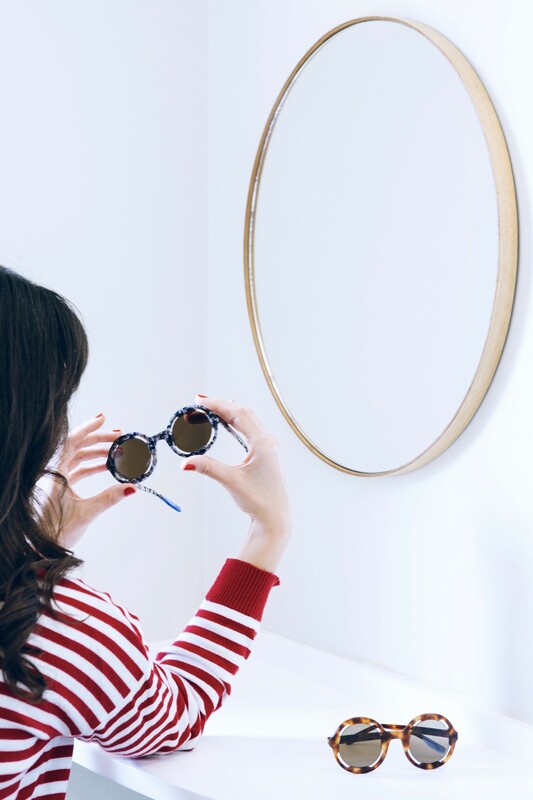 True to our stylistic identity, we’ ve designed for Urban Owl Sunglasses an extravagant statement piece that exudes elegance while celebrating our core minimalistic aesthetic. As clean lines merge together, the frame emerges striking, pronouncing its bold geometry. Playing with focus, we envelop the viewer in the process of pattern-making, identifying shapes and spaces and the intricacies lying hidden therein. Athina Papa is a Greek artist that numbers among the best contemporary illustrators worldwide. For our collaboration she designed a naturalistic print inspired by her signature dreamy illustrations. This print evolved by us in a more dynamic way was used in some of the most ethereal items of our ss19 collection.